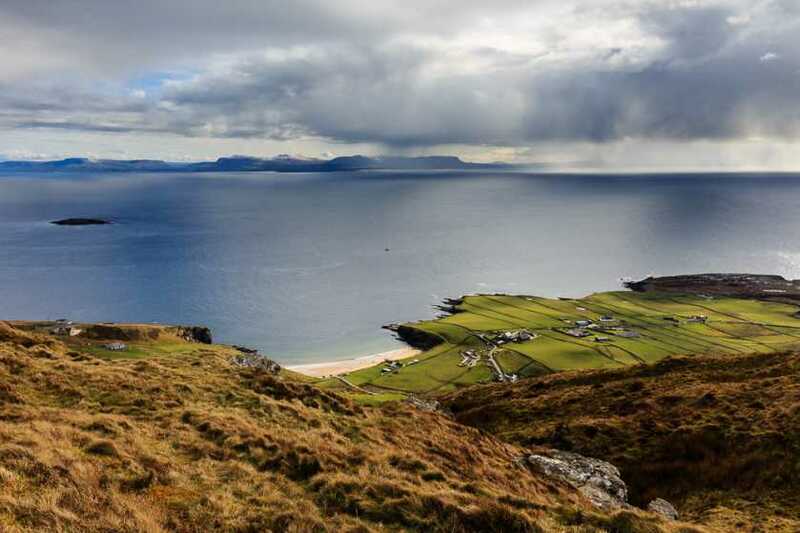 Picture from Aidy : Looking over Muckros to the Dartry Mountains, under changeable skies. Picture: Looking over Muckros to the Dartry Mountains, under changeable skies. I was in this area on Sunday, and had no real plans for hill walking as I was expecting relentless rain and a lack of views on hills covered with low cloud. Instead I was planning to drive along the coast, dashing from the car for a few photos when weather allowed. It turned out to be a beautiful day, and Croaghmuckros looked so enticing as I looked over at it from Muckros Head that I decided I would take a walk up using the lazy way - the access track on the northern side up to the mast at the summit.